The other thing you get from us is our no-nonsense no-BS forward, upfront and direct straight talk. 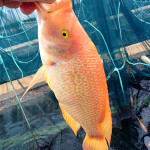 Fish farming has to be about being profitable or it is not sustainable. Money knows no emotion and you will find no illusions here. 1. This is farming. It is a long term capital intensive business. 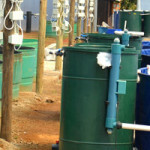 Just because you have heard of fish farming and you have some land and water is not enough. 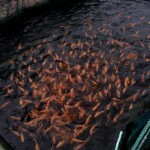 You need to become a fish farmer, and you will need money and time to accomplish this. 2. This is a business and it will need a business plan. This is YOUR plan. We will not develop a plan for you unless you pay us to do it. This is because your site location is uniquely specific and the conditions there will impact on production (and hence on everything that comes from that) substantially. There is no such thing as a generic business plan unfortunately. Fish farming is a complex matrix of different factors that have to be considered individually and collated into a cohesive whole. 3. The BEST way to begin is to start with a single tank. Learn that. Once you have mastered production you can plan a business with considerably more confidence. 4. 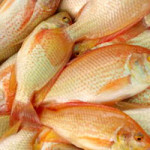 You cannot farm fish profitably without scale. 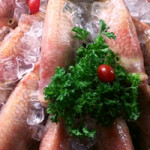 Think chicken farming – this is similar to fish farming. 5. You will not obtain funding to start up. Period. If you cannot fund this yourself you need to strongly re-consider your options. You will need R800k free unencumbered cash if you want to build a reasonably profitable fish farm that earns more money than investing on the JSE at 10%. 6. 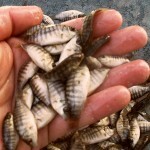 In all instances you will start small and grow into significant production, unless you are already a fish farmer. 7. Your minimum starting unit is one APU (Aquaculture Production Unit). 8. Once you have proven you can run one APU system you will have learned almost everything you need to know about fish farming and THEN you will have some actual physical raw data with which to obtain funding. 9. This process will take between 6 months and 18 months. The time frame depends on you. We call this wet hands experience. Without this you cannot farm. 10. This is a full time career. Fish farming may start off as a hobby and a home based industry to begin with but this will grow rapidly into a full time business with employees and infrastructure. It is the real deal in other words. 11. This is YOUR career. Please do not expect us to farm for you. You will need to find your own markets and build your own business. We are here to help you head in the right direction but we are not going to do it for you. 12. You are not limited to Tilapia.